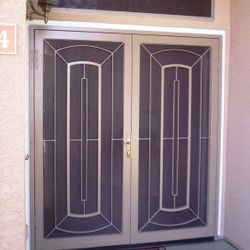 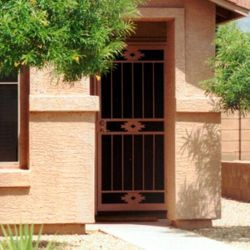 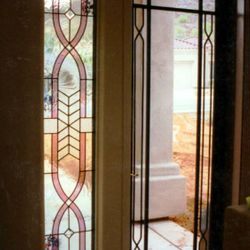 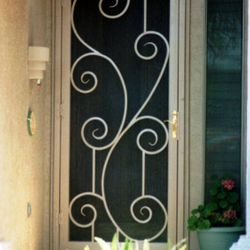 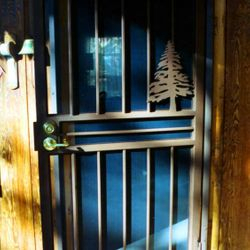 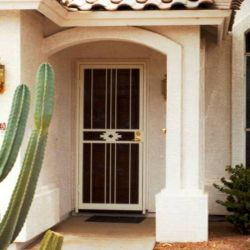 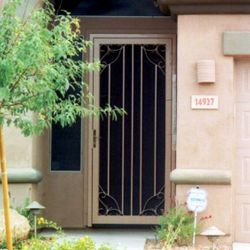 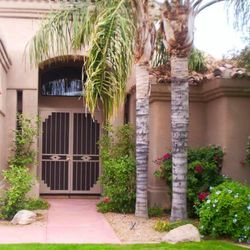 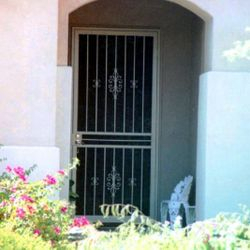 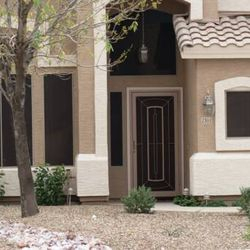 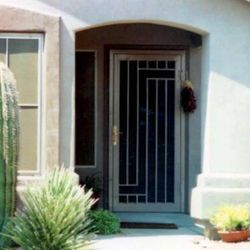 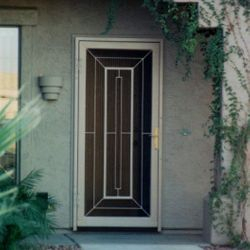 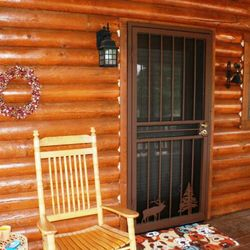 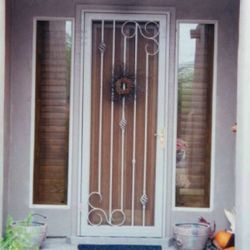 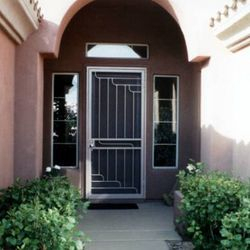 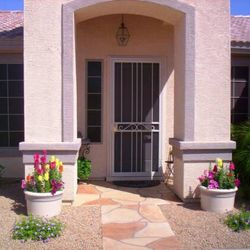 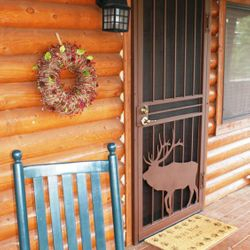 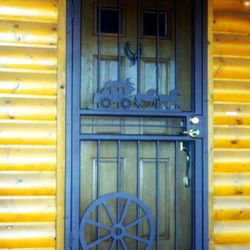 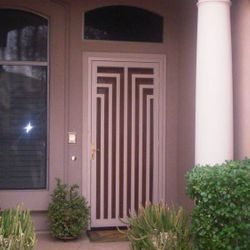 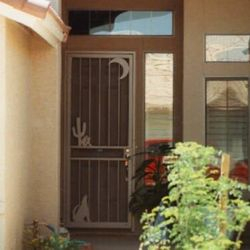 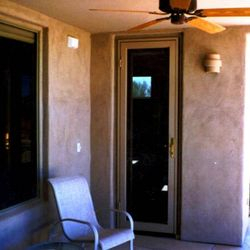 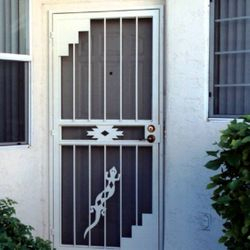 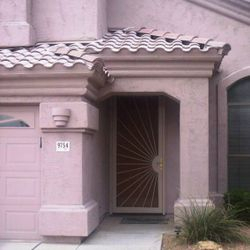 We take pride in designing and fabricating the finest custom doors in the southwest. 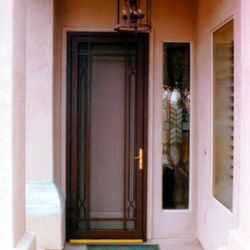 All of our doors are made to order to ensure a proper fit. 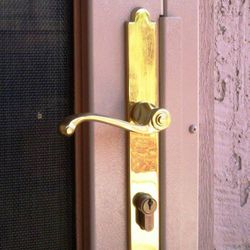 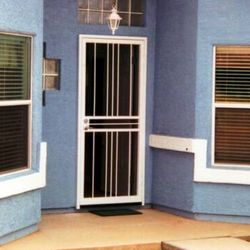 They include a heavy 1"x 3"door frame, Marks slim-line lock & lever, full weather-stripping, and a durable powder coated finish with a variety of colors to choose from . 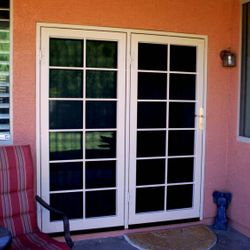 Our traditional 1" x 2" frame doors with standard hardware are available as well. 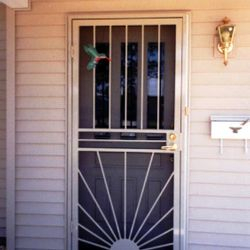 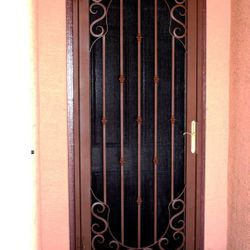 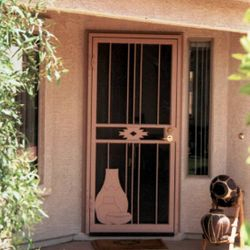 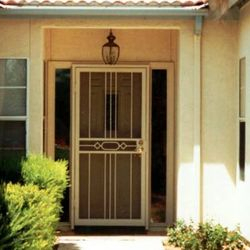 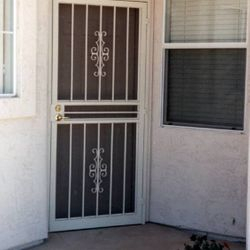 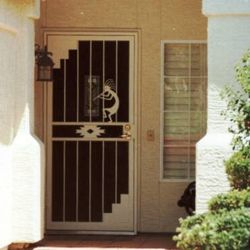 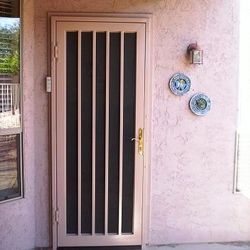 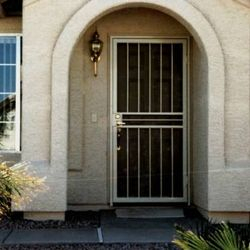 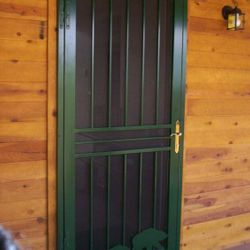 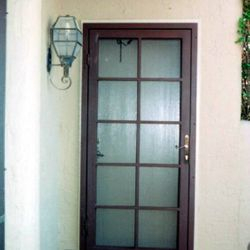 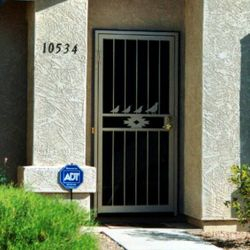 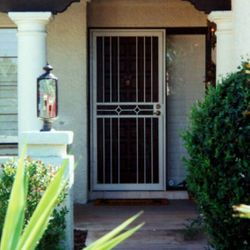 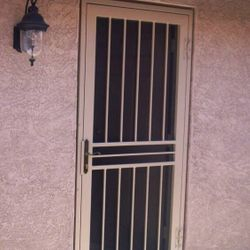 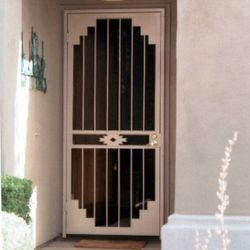 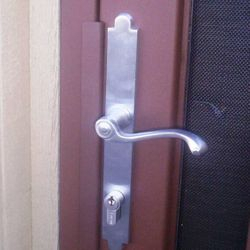 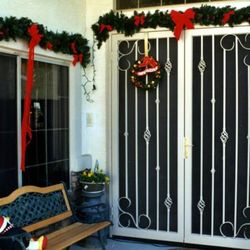 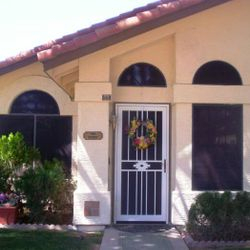 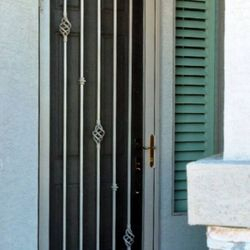 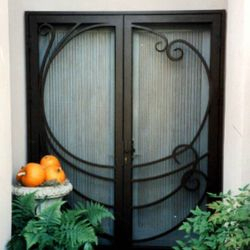 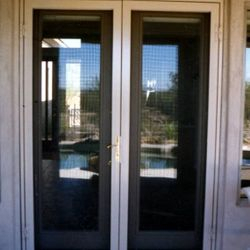 Please take a look at our security screen doors that we have done in the past.